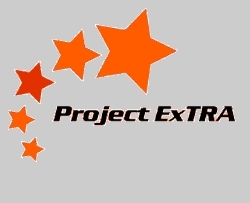 Project ExTRA began on Monday, November 29, in the school year 2004-2005 as part of a 21st Century Grant. Avalon ISD was in a consortium with school districts in Commerce, Terrell, Kemp and Wills Point. Once the grant ended after its five year period, Avalon ISD was the only district to continue its program in full force for its students. In 2018-2019, Project ExTRA kicks off its fifteenth year of providing Afterschool activities for students in grades 2-8 (1st grade if they have an older sibling enrolled in the program as well). Registration forms are sent home the second week of school for the Fall semester which begins in September. For the Spring semester, registration forms are sent home the week students return to school and the program begins again in mid-January. Project ExTRA provides time for students to do homework, enjoy a snack and some outside time and then end each day in a 50 minute session centered around an academic area such as ELA, math, social studies or science. One day each week is designated for work on a Study Island subject. Another day, remaining from the original grant design, is an elective type day where students may take part in cooking, games, computer lab, the outdoors or creative edible art. The primary goal is to reinforce the skills students are learning in the regular day classroom, but to present it in different and creative ways to extend a child's critical thinking skills. Project ExTRA staff work with grade-level classroom teachers to assure that skills coincide or to check where remedial instruction may be valuable to the students. Be sure to look through our photo album as we build our scrapbook. CELEBRATING OUR 15th ANNIVERSARY! 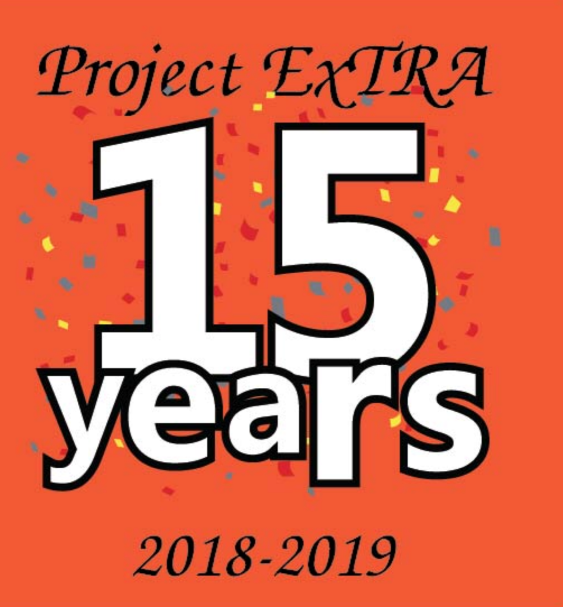 ORDER YOUR PROJECT ExTRA 15th ANNIVERSARY APPAREL BY NOVEMBER 13!